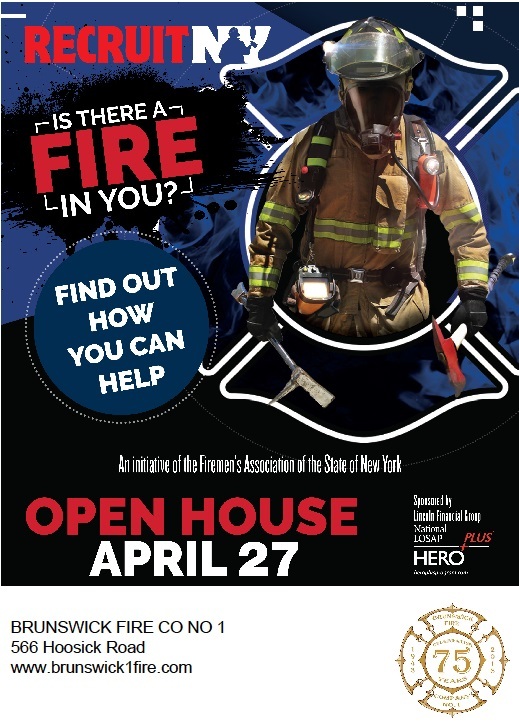 Join us on Saturday, April 27th from 11am to 1pm for our annual Recruit NY open house. Tour the firehouse, review our equipment and meet with the members of Brunswick No. 1.